Akershusfestning, Oslo, Oslo • Norway Munk's Tower (1559) In the Middle Ages the Water Tower was probably located here. This was a defensive tower and possibly cisterns for drinking water. 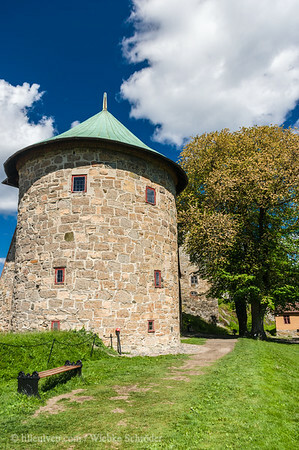 The tower was demolished by Governor Christian Munk, who build a combined gun tower and gate tower here. The new Iron Gate was build right against the tower's western face to replace the old gate of the Virgin's Tower. In the 1800 the royal regalia were kept on the tower's top floor. Source uuid="216E05D8-9ABC-428A-84E8-C1BE86F20DEC" id="Norway lilleulven.com _K3_6218.dng Norway Lilleulven.com"